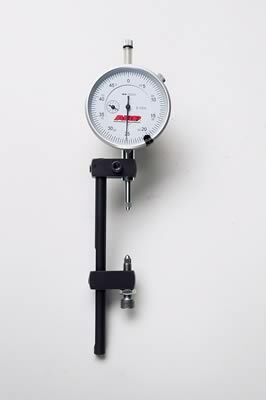 The ARP Stretch Gauge is a specialty tool used to accurately determine the stretch of a bolt to measure the correct pre-load on the rod bolt during engine assembly. Extra heavy duty for years of problem free accurate results. A must have for the serious engine builder, and perfect for the hobbyist that has does their own engine work. Available in standard and billet. If you would like to reuse your ARP hardware, use the stretch gauge to always KNOW when your hardware is acceptable for reuse.